The current temple is the renovated form of the older one. The Devi Talab Mandir is very sacred for Hindus and is dedicated to Tirpurmalini (Goddess Kali). 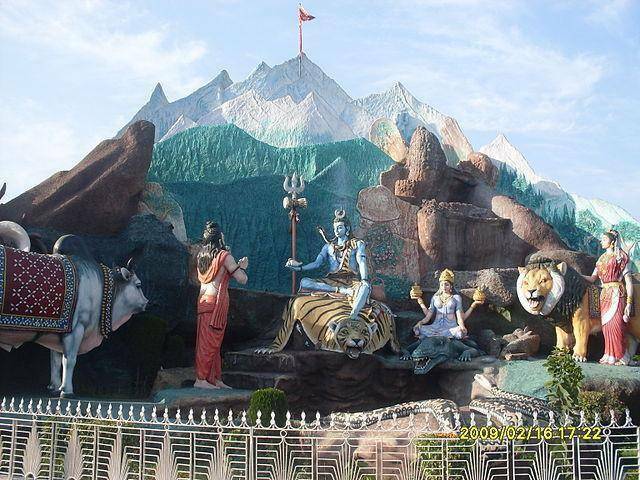 A model of Amarnath Yatra is recently added to the temple permises. As per Hindu Mythology, when Sati (Goddess Parvati, Lord Shiva’s Consort) Jumped into the Agni Kunta over a conflict with her father, Lord Shiva got angry and took her body and danced rigorously (Ruthra Thandavam). Due to this vigorous dance, body parts of Sati were thrown all over the world. It was believed that the right chest of Sati fell down on the same place where Devi Talab Mandir is situated. The tank in the temple is 900 years old and Hindus consider the tank as most sacred one. Every year in the month of December all musicians (both instrumentalist and Vocalist) gather in Devi Talab Mandir and perform a Sangeet Mela called as “Hariballabh Sangeet Sammelan”.